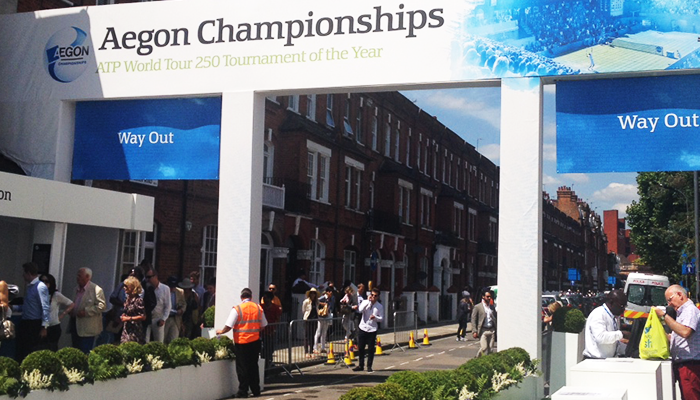 For the past three years, the Queen’s Club has hosted the renowned AEGON Tennis Championships. 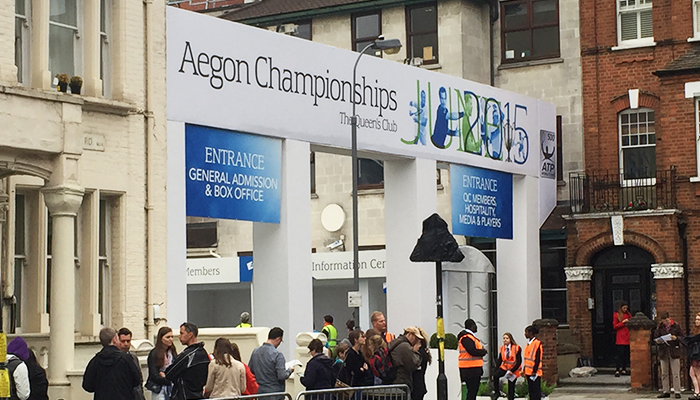 Each year, AEGON cover the club with decorative branding. A large part of this is to ensure that guests are greeted with an impressive, branded gantry structure on arrival at the club. 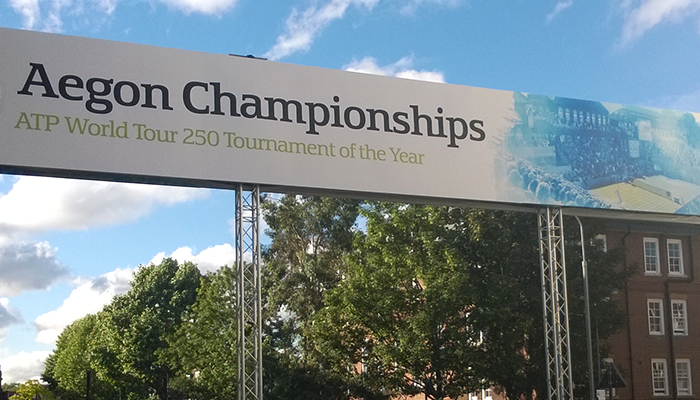 EHP have contracted to produce such a structure to be used for the duration of the championships. To build and secure a gantry across Palliser Road, at the entrance to the Queen’s Club. The build should not require road closure for more than two hours, due to it being the main access route for deliveries to the site. It is important that the road closure for this event is kept to a minimum, as in past the gantry has been constructed using scaffolding, resulting in an inconvenient two-day closure. EHP have designed and produced the entrance gantry structure for this event for the past two years, utilising Milos self-climbing MPT towers built at ground level to avoid this problem. Once the branding is affixed, the whole structure is lifted using chain blocks and then locked to the walls, thus securing the structure for the duration of the event. Finally, the legs are clad with flats covered with branded graphics. This whole process takes roughly four hours and the result is an impressive, impactful entrance, welcoming guests to the event.